I collaborated with engineers and artists working on the Innovation Team for Ericsson to develop this experience. 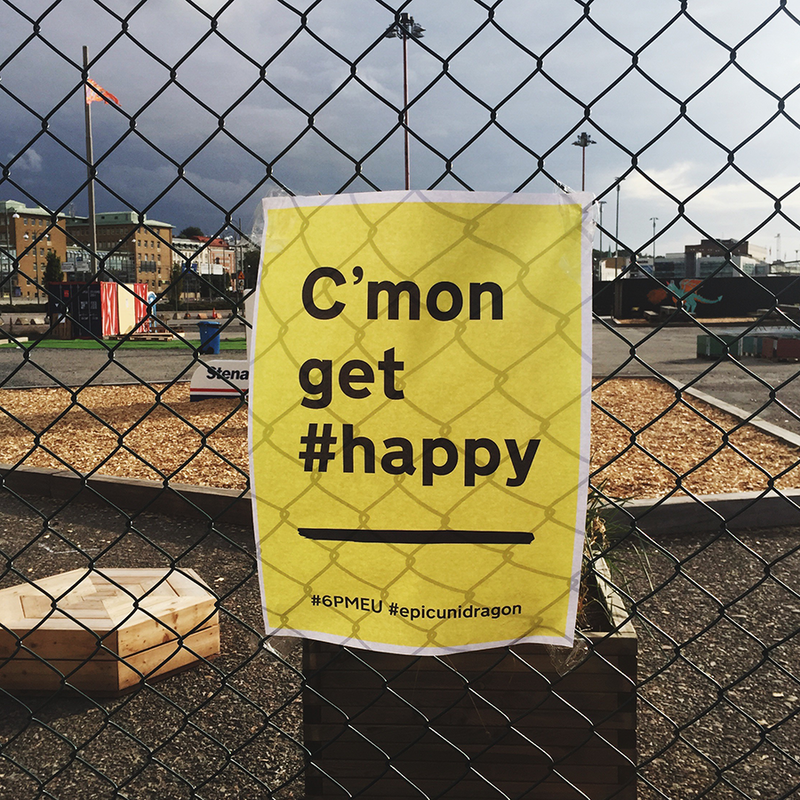 Building on an in-house project focused on measuring, making visible and extending employee satisfaction in a playful way, our team created an experience in which a wireless gumball machine was hacked to provide candy with every instance of #happy on twitter. We built a slide for the gumballs to “ride” into the glass container they landed in. The emphasis was on including the senses (the sound of the gumballs hitting the glass, the taste of the gumballs, which visitors were encouraged to take) and extending the “happy” experience. The concept was created and executed in 24 hours, and the pop-up exhibition took place in a shipping container gallery at Masthuggskajen, in the heart of Gothenburg’s port area. Etc.